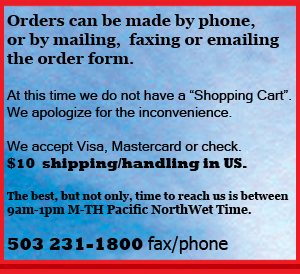 Orders can be made by phone, or by mailing, faxing or emailing us the order form. We accept Visa, Discover, Mastercard and check. At this time we do not have a Shopping Cart.